During the Golden Globes on Sunday night, Smith took to Instagram to tease fans about the forthcoming third installment of Bad Boys. The actor shared a photo of a stack of scripts titled Bad Boys for Lif3, with a simple message. 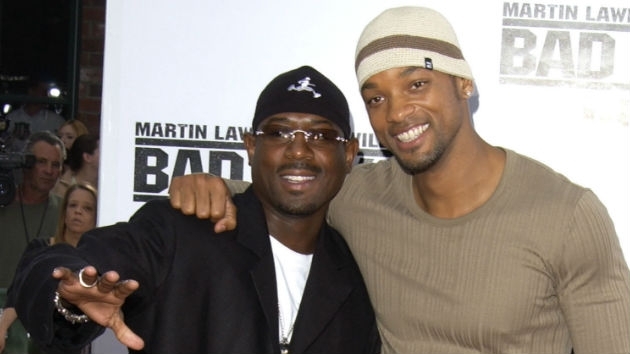 (LOS ANGELES) — Will Smith and Martin Lawrence are ready to get back to business. On Monday, his Bad Boys co-star chimed in with his own note. As previously reported, the threequel will be directed by Moroccan-born directing duo Adil El Arbi and Bilall Fallah. It reunites Will Smith and Martin Lawrence after the last Bad Boys film, 2003’s Bad Boys II. In that movie, the two played Miami narcotics detectives on the trail of a Cuban drug smuggler. It film grossed over $273 million worldwide. The original Bad Boys movie came out in 1995. Bad Boys for Life is set to hit theaters over Martin Luther King Jr. weekend 2020.